The board of directors of the Grindstone Award Foundation is shocked by the Canadian Women’s Hockey League decision to discontinue operations as of May 1. “This is a step backwards for hockey in Canada and is particularly important for the Grindstone Award Foundation as we are about creating opportunities and dreams for young female players by providing financial support to them to ensure they can remain in the game. The very same kids we are supporting are also the biggest fans of this league and its players — these are the role models they strive to be,” said Danielle Grundy, president of the Grindstone Award Foundation. Unfortunately, the CWHL (with six teams and many Olympians rostered) said the business model has proven to be economically unsustainable for them. Shortly after the announcement, the National Women’s Hockey League commissioner Dani Rylan issued a statement. She confirmed that the CWHL and National Women’s Hockey League (which has five teams based in the U.S., also with many Olympians on their rosters) had met in January where they presented “significant proposals” to the CWHL about forming one league. The two sides had agreed to meet again in April, now those talks will not continue. At the start of the season, the Grindstone Award Foundation entered into a partnership with the CWHL to deliver charity clinics to not only provide a great experience for young players, but to increase the awareness of the league and the opportunities it was providing players. These camps also served as fundraisers to help keep female athletes in need playing hockey. 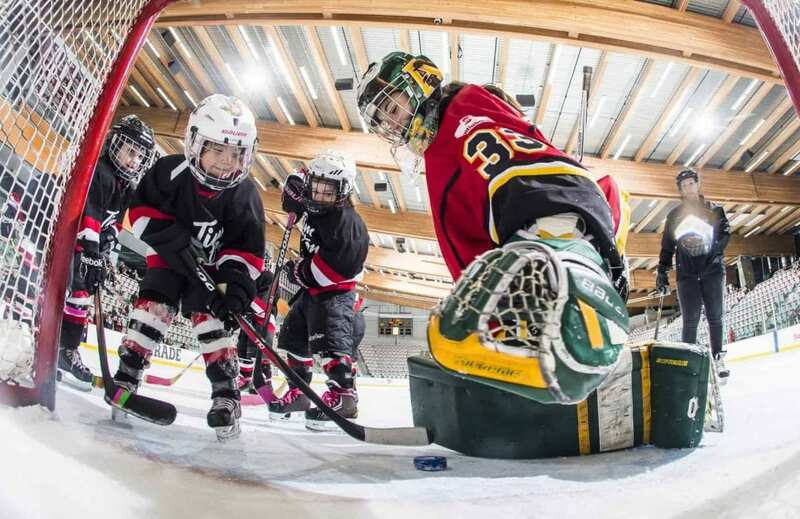 The three events with the CWHL (Calgary, Markham and Toronto) brought young players to the ice and into hot stove sessions with the players they look up to. The Grindstone will continue to fundraise, including hosting their biggest event of the year — the third annual women’s hockey tournament in Kelowna, B.C. this summer. “We see this as a critical time. We aren’t giving up on creating opportunities for young female athletes or supporting the professional women who play the game we all love. We know a lot you out there aren’t either and there are a lot of ways to help keep girls in the game. We encourage you to join the Grindstone movement. Donate your time. Donate to our player grants. Let’s show the future generation of women’s hockey there is something to continue to dream about,” said Grundy.